Visiting Big Bend Ranch State Park was a back up plan for us, because the Big Bend National Park next door was under a Government shutdown attack. Thankfully, things weren’t too bad in Big Bend NP when we visited in January and we could do most things except for the famous Santa Elena Canyon which was closed. 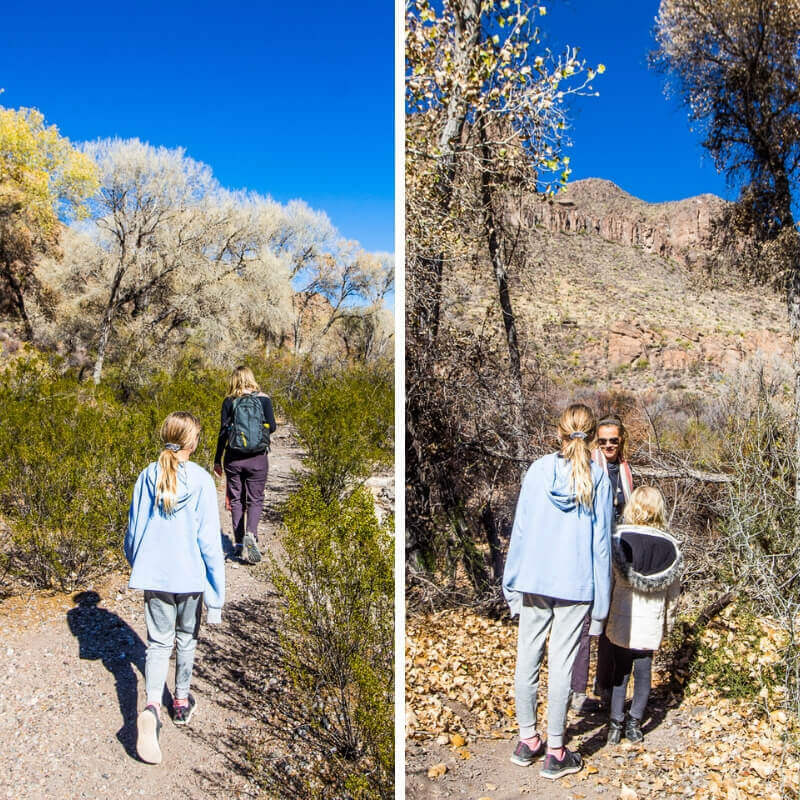 You can read all about our visit to Big Bend National Park here. What a great plan B the State Park was. 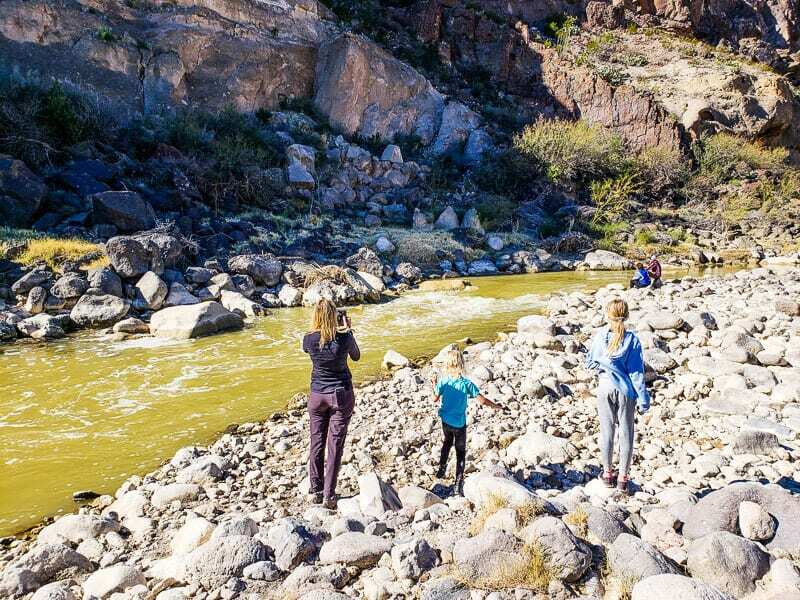 This park has spectacular scenery along the Rio Grande River, a couple of family-friendly hikes that are interesting for the kids, and a few off the beaten path adventures. Sadly, many people visiting the Big Bend area ignore Big Bend State Park for the more glamorous, manicured and popular National Park. Texas parks and Wildlife Department have a lot to offer as well! We’re grateful our hand was lead deep within – follow our lead and do the same. Any adventures into nature will cause a reawakening of the wonderful. Big Bend Ranch State Park TX was formerly private ranch land and its current untamed wilderness is very similar to its original landscape. 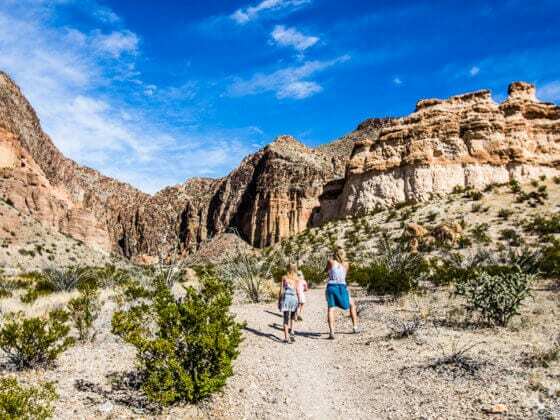 As the largest state park in Texas, it has over 300,000 acres of Chihuahuan Desert wilderness, and adventurers will love this rugged terrain that is some of the most remote in the southwest. 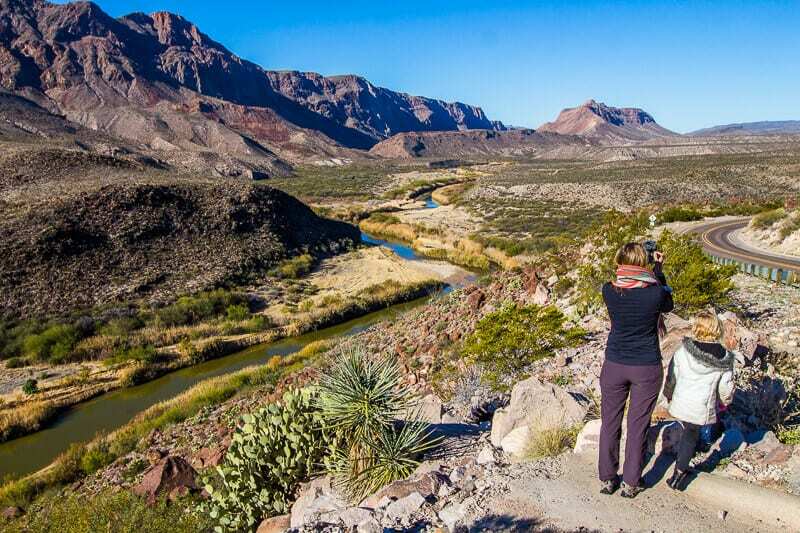 Big Bend State Park only receives about 8-10 inches of rainfall a year. Despite this, it is sprinkled with a surprising number of cool canyons lined with cottonwood trees and fern-filled hanging gardens. Due to complex geological processes, the backcountry of the park is an area that features many water features, which are critical habitats for plants and wildlife. Most of these springs are located off-the-beaten-path and difficult it get to. The West Contrabando Ojito Adentro and Cinco Tinajas trailheads offer easy access to some of them. 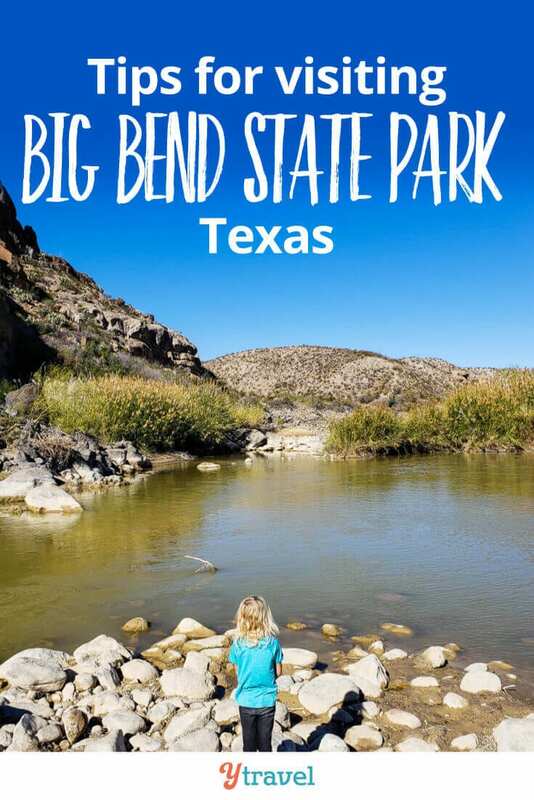 The good news is that even though Big Bend State Park Texas is huge, it’s still small enough for most people to do in one day. That’s because a large part of it is in the backcountry, which is more rugged travel, and won’t suit the majority of visitors to this park. 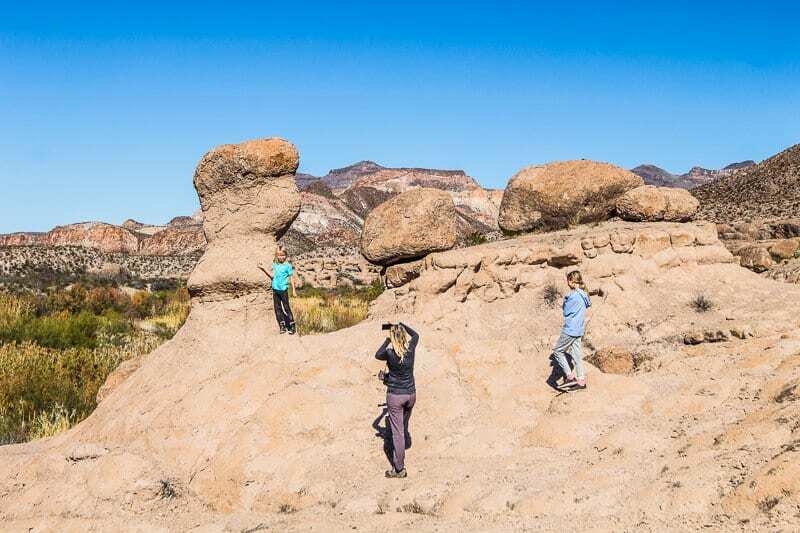 Keep reading and you’ll see how you can still incorporate some of this backcountry on your day in Big Bend State Park. If you have more time, then explore more of the backcountry and delight in some overnight camping. 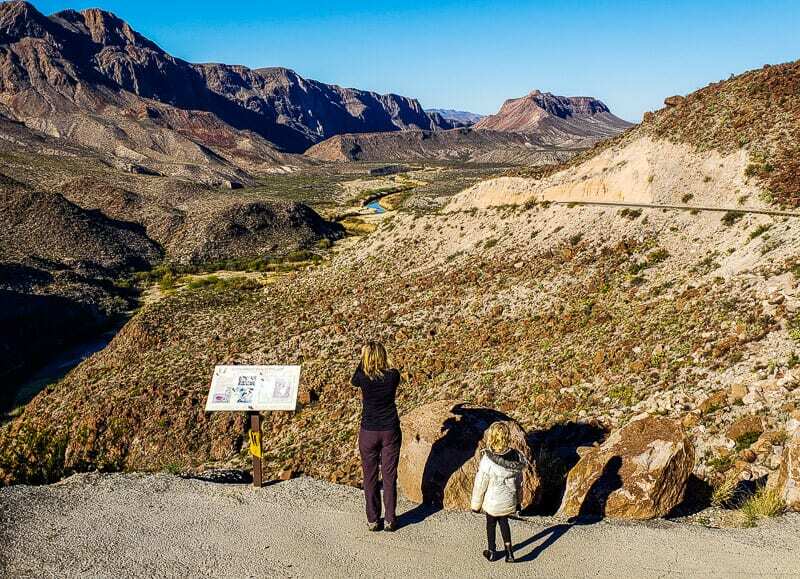 The River Road (RM 170) is a spectacular drive that follows the winding Rio Grande River. Not only is this drive full of gorgeous view points and hikes, you get the unique experience of driving in the US, but right beside Mexico. 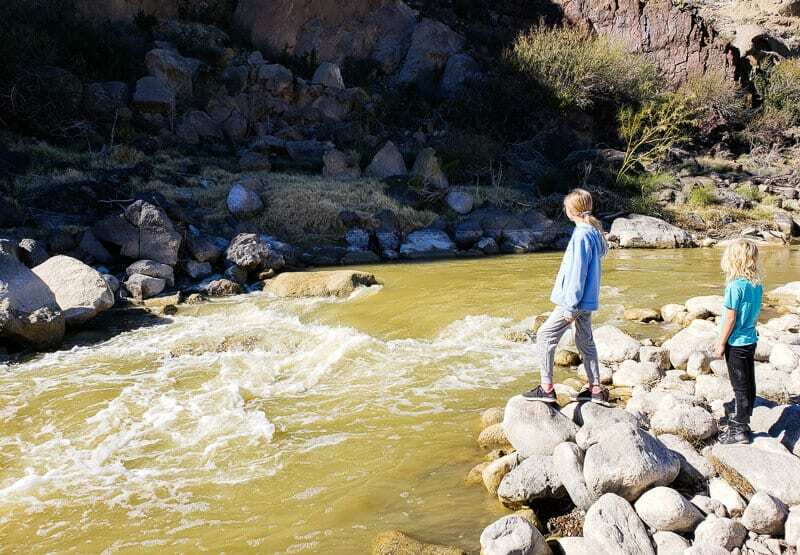 It’s crazy when you get close to the Rio Grande to see how you could be in Mexico with a couple of skips over some rocks or a quick swim over a fast moving river. Savannah was tempted a couple of times. She loved seeing Mexico right there and really wanted to jump on over. We’ve been recently doing a unit of school work on landforms, mapping, countries and continents with our homeschooling so she was delighted to see what she was learning in real life. 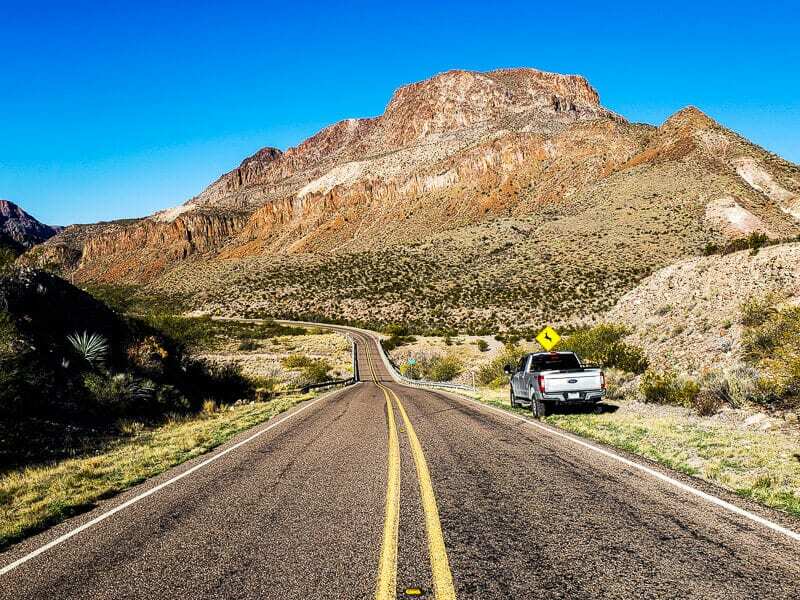 From the minute you drive in to Big Bend State Park you’ll be wowed by the craggy mountainous scenery stretching out in front of you. 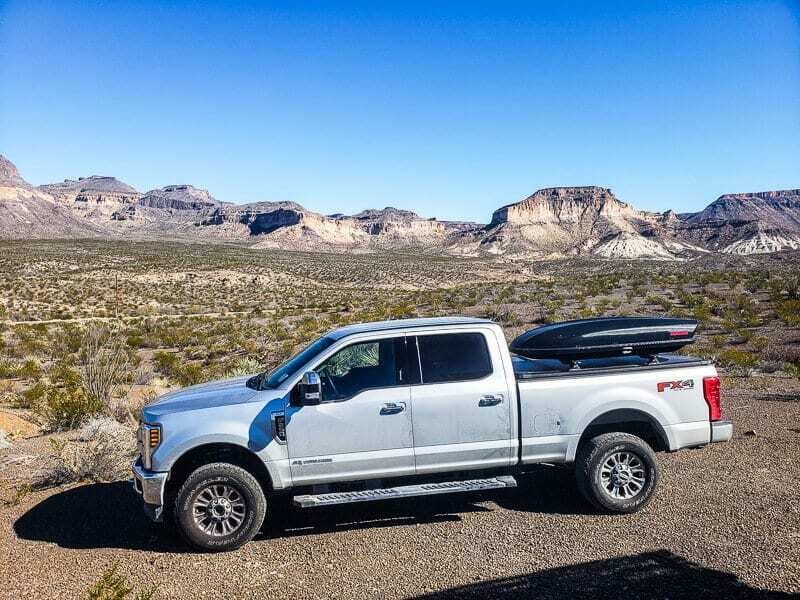 I’d allow for at least half a day to take in this 30-mile road that goes up and down steep ridges, across empty Chihuahuan Desert landscapes and through canyons alongside the river. Don’t just admire it from your window. Get out and go adventuring into those mountains and canyons. Do your research to find hikes suitable to what you are looking for. We include the most popular hikes we did and the ones that are best with kids below. 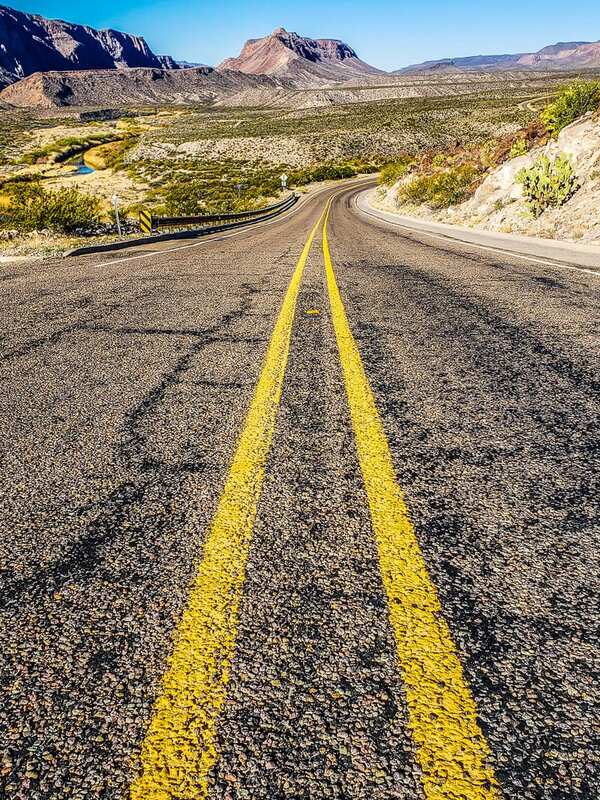 I found the views here not long after the eastern entrance into Big Bend State Park stunning. It’s a popular camping spot as well. Be sure to pull over and enjoy the views whether you are camping or not. I love desert flora. It’s so interesting and diverse. Be sure to look out your window of anything of interest and pull over. I just loved these plants and so when we saw a row of them beside the River Road we pulled over for a closer took. If you’ve seen any photos of the Rio Grande winding through spectacular mountain country, it’s probably been taken from The Big Hill Lookout. This is right at the top of the bend and pretty indiscreet so look out for it. There is another pull over just a little bit further, which offers an equally impressive and closer view. The kids will love the hike through Closed Canyon. 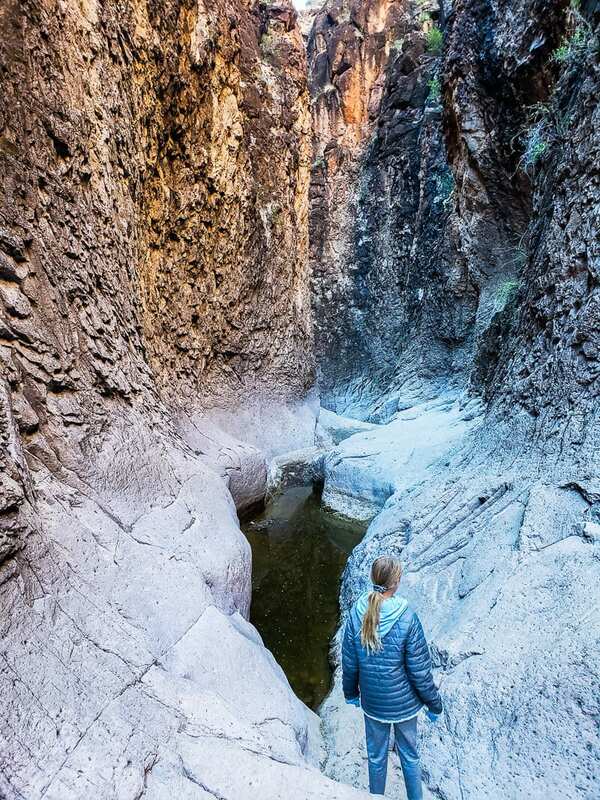 It’s a non-strenuous 1.4 mile return hike into a narrow slot canyon. 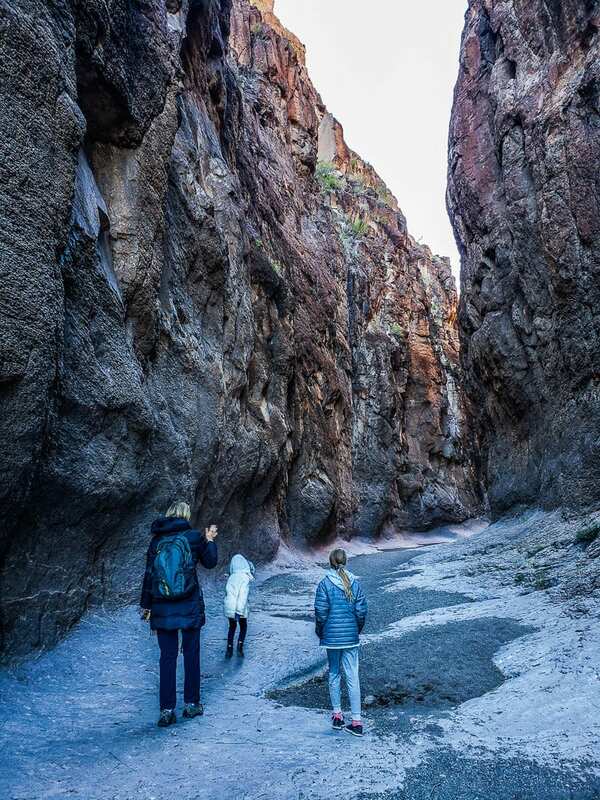 As the canyon moves towards the river along a sandy-gravel path, the looming canyon walls become narrower, give the kids a few rocks to scramble over and jump off. Little sunlight reaches into the floor thanks to the high walls, making this a cool spot to hike, especially in those hotter months. There was no water when we visited except a small pool at the end of the trail. Smooth boulders clog the path from here, making it a slippery adventure to get to the Rio Grande lying beyond. I’m sure with the right equipment you could make it. Flash flooding can occur in here so be weather smart and safe! 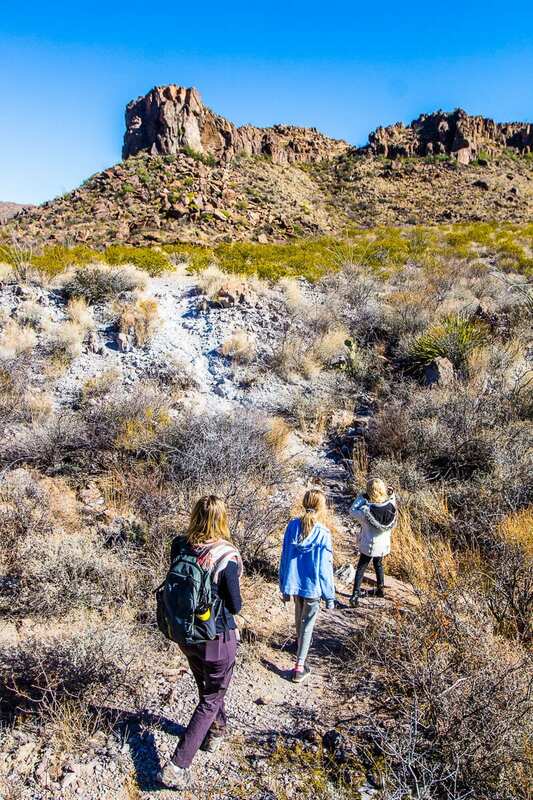 The girls said this was their favorite Big Bend Ranch State Park hiking moment. Standing sentinel over the Rio Grand River stands a collection of rock towers called hoodoos. Hoodoos are unique geological features. It’s an African word which refers to what they believed were strange animal shapes in the rocks and embodied evil spirits. They didn’t look to evil to us! They provided a fun playground for the kids to run around and explore, climb up and take photos on. This is a short 1.1 mile trail that takes you over the rock face to the hoodoos along the banks of the Rio Grande. I loved this location and walking down for a very close look at this wonderful river. We were so close to Mexico! 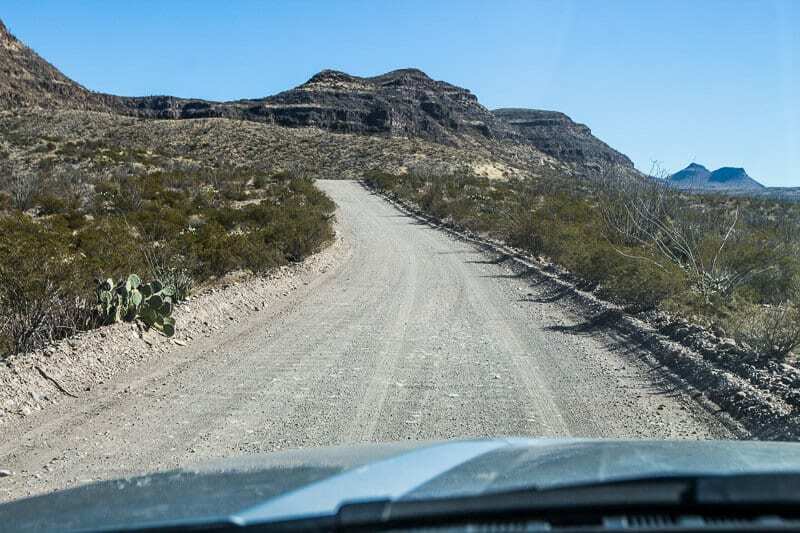 The Main Road is a 27-mile gravel road that runs through rugged terrain of the backcountry ending at the former owner’s ranch headquarters at Sauceda Ranger Station. Off it are various hikes, biking trails and 4 x 4 off road adventures. Even though this is a graded road, it’s bumpy and involves a few small inclines. It will be a slow drive, which, if you’re not used too can get quite exhausting, especially after spending a morning on the River Road exploring. I enjoyed the scenery on this 0.8 mile hike leading to lush springs and a seasonal waterfall in the riparian area of the park. And it’s meant to be one of the top birding sites in the park. After only a few minutes into the walk, my eye caught a movement in the distance, I looked up and saw an animal bounding across the valley. At first glance (and thanks to all the mountain lion warnings) I thought it as a mountain lion, and jumped pulling the girls back to me. The next glance showed me it was just a deer and it took off up the slope of the mountain. I as hoping that insight would help ease their fears over bears and lions, but no, my startled reaction made them think more about it. They walked very close to me on the trail which felt ominous and eerie because we were the only ones on it! It was kind of confusing where to go (we didn’t read the plaque properly before heading off ). You come to a gated fence, walk through it and down to the cottonwoods which line the creek bed. Once you get there, turn right and keep walking until you get to the spring. Again just a simple wooden sign that says turn right here only a short way to go would be helpful. Because you think you’ve arrived at the spot and you see no water because it’s the desert and you think, oh the water must be dry and there’s nothing to see and you turn back. Instead of turning right and walking a little ways down to discover a spring tucked away in the corner! Yes. Things like this really irritate me. I didn’t realize until we got back to the car, just how close we were to the spring. Yep. Slightly annoyed to miss it! Poor preparation as well on my behalf. You can keep driving along the Main Road to get to Cinco Tinajas and the Leyva Escondido Spring Loop. By this stage after Ojito Andentro, the girls were both tired and over the walking and slow and bumpy off road experience. It was getting late and we knew if we kept going and completed the 1 mile Cinco Tinajas trail, we wouldn’t get back until after dark. We hadn’t gotten back to our RV Park until after dark the previous two nights and the girls were begging us not to tonight. So we turned around and headed back for a campfire instead. 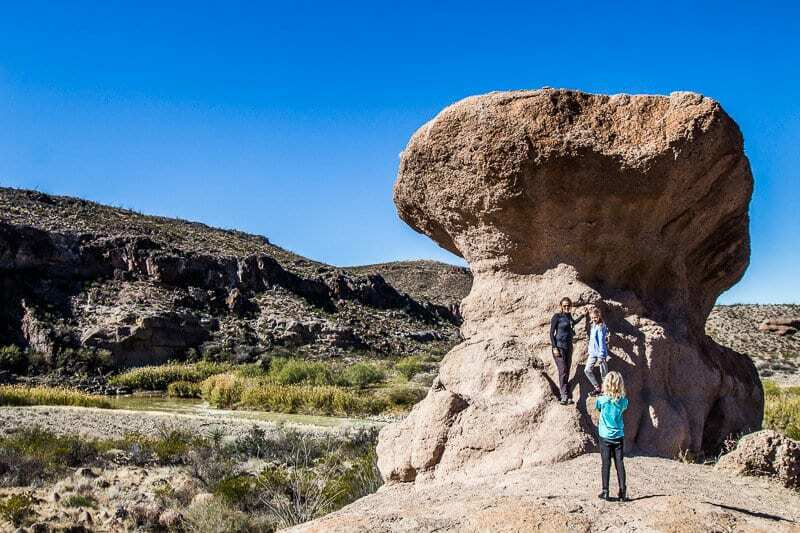 On this Cinco Tinajas trail, you’ll find 5 rock basins full of water (tinajas). These tinajas hold water mostly year round, which is unusual, and they support many species of plants and animals. 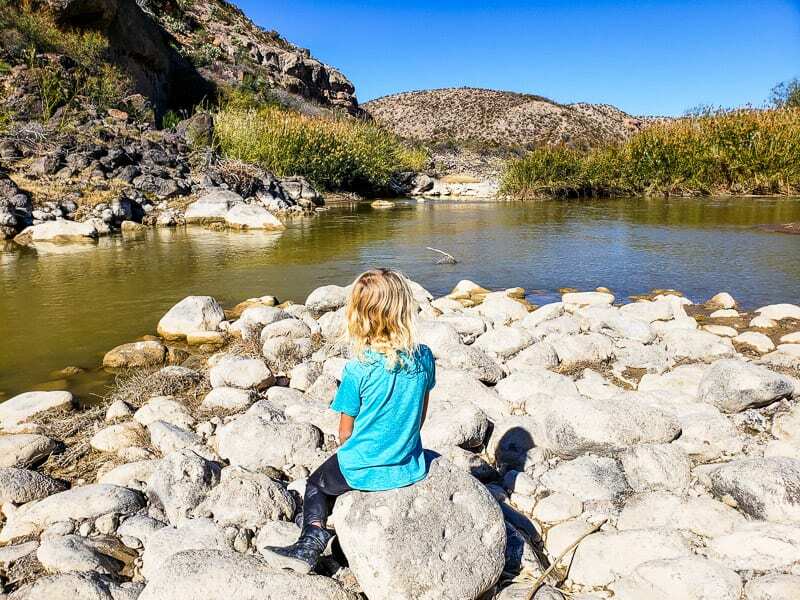 You can continue hiking the more challenging Leyva Escondido Spring trail which takes you up past a Native American rock art site and up to a vista with 360 degree views of Leyva Canyon. Something for us to return to for! 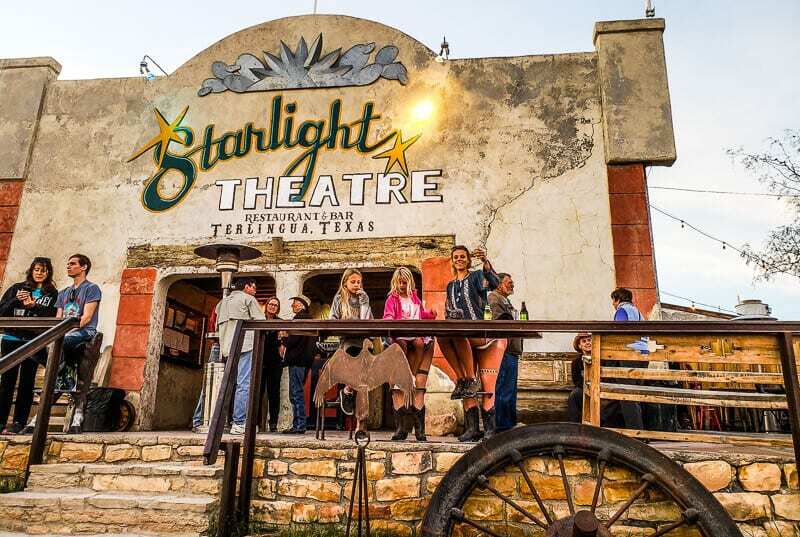 If you don’t camp within Big Bend Ranch State Park TX, then we highly recommend stopping in at the Starlight Theater in Terlingua Ghost Town. 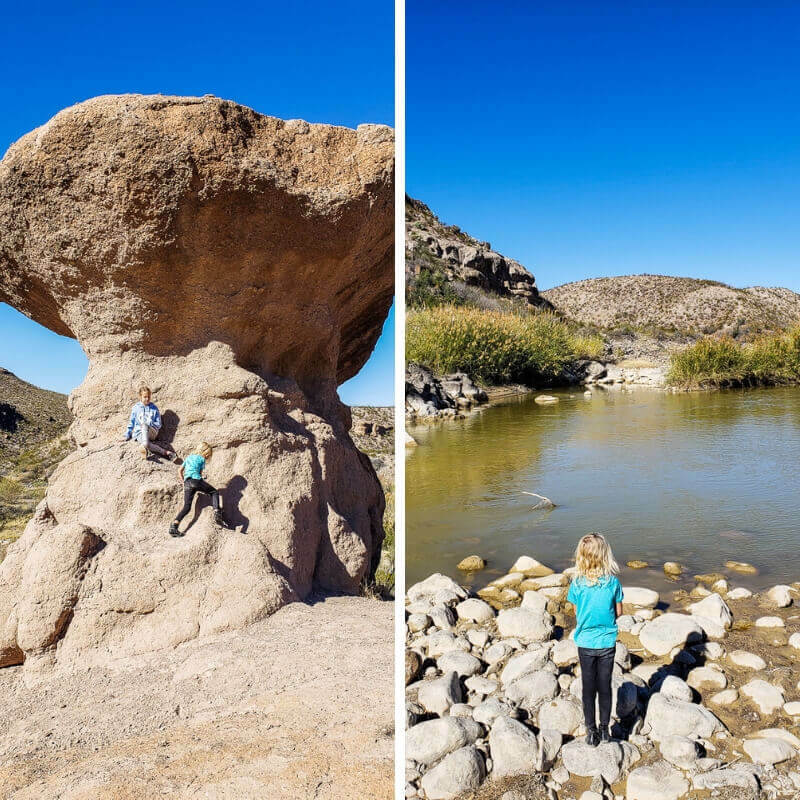 It’s one of the unique things to do in Big Bend area. 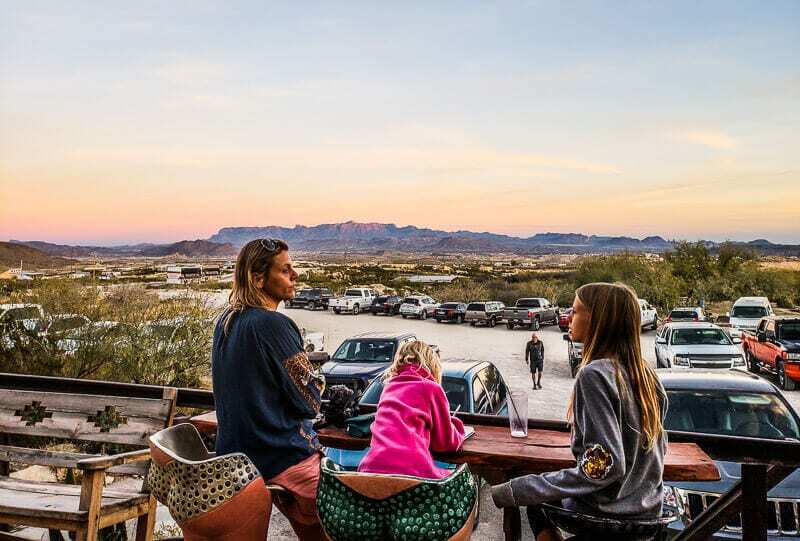 Pull up a bum chair, grab yourself a local brew from Big Bend Brewery, and a bowl of award winning chili and watch the setting sun light up the Chisos Mountain Range in Big Bend National Park. It’s a raw and natural experience. The Porch extends beyond the Starlight Theater in front of the Trading company store (excellent brick bacs and souvenirs in here). It’s quite the gathering spot for locals and passer byes. On the porch you’ll find drifters, vagabonds, artists, farmers, miners and homegrown earthy folks. I loved it. It reminded me of an Australian outback pub. There will be a lot of tales you can spin about this place. The night sky is captivating on a pollution covered evening, imagine what it’s like when you’re in Dark Sky country. The Big Bend region is one of the best in continental USA for stargazing and astrophotography. There is minimal light pollution and combined with clear skies gives you ample opportunity to be wowed by the heavens above. The darkest parts of the park are said to be along the River Road, West Contrabando Trailhead, the Big Hill and the Hoodoos Trailhead, all of which are easily accessible by vehicle. Be warned, the signage in this park is not the best. A few of the places of interest listed on the map you pick up from the Big Bend Visitor Center near Lajitas are difficult to find. 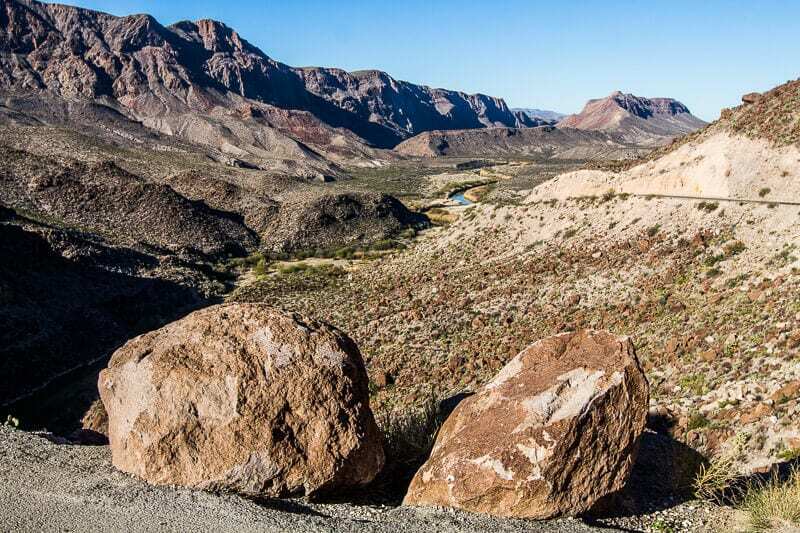 One place mentioned in the brochure was the Fresno Overlook, and it was described as being on FM 170 (the River Road) between Lajitas and the Teepee Picnic area, which offers great views in the late afternoon. I couldn’t find this in either direction. It is quite a large distance between these places, a little more specificity would be helpful, or even placing it on the map. Other highlighted places from the map are just denoted in the park by a sign that says Visitor Information, instead of the name of the place of interest. We had to turn back for the Big Hill lookout, because I wasn’t looking for Visitor Information to help point me to where I ant to go, but something like, Lookout Point, or even Big Hill Lookout!! Simple things like his make a huge difference. Big Bend State Park Ranch is the largest of the Texas State Parks. In fact, all other state parks can fit into it. There is a lot to do and see here. You could spend longer than a day exploring many of its trails and even camping either along the river, or in the backcountry for the true adventurers! Starting early will give you more time to explore slower, but also head up into the backcountry area, along Main Road, which is only 27 miles long but a grave graded road so does take a lot longer. Entrance Fee: Adults $5, 12 yrs and under free. Rattlesnakes are common. We didn’t see any but be careful where you put your hands and feet. Mountain lions and bears are also in the park. Again, we didn’t see any. There are plenty of signs telling you what to do should you see one. i.e. face the animal, make noise, pick up small children, appear as large as possible and back away slowly. If attacked, fight back. He who wins lives. Again, I find myself ASTOUNDED that the number 1 reason Americans won’t travel to Australia is that we have too many things that can kill you. Oh please. I’ve never been told to be prepared to fight a wild animal. Not in Australia! Daily entry fee is $5 (peak season) $3 (non peak) for ages 13 and over. Get your day pass and camping permits from the Barton Warnock Visitor Center just before you reach the town of Lajitas. You’re in the desert – it’s hot and dry. Protect yourself from sunburn and carry PLENTY of water. 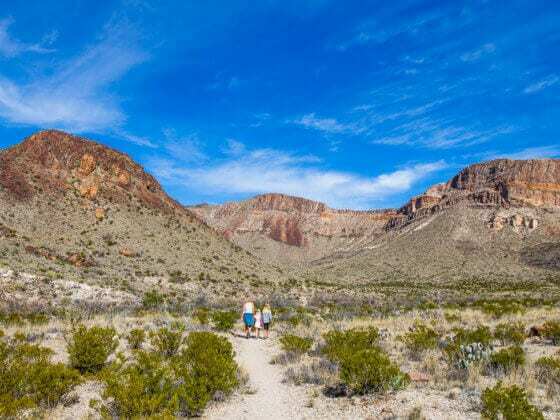 Do your Big Bend hikes in the early or later part of the day. Cell phone service is spotty and I’d say fairly non-existent. There are plenty of places to enjoy a picnic. Pack plenty of food and enjoy the lunchtime views. Be sure you have a full tank of gas, there are no gas stations within the park. 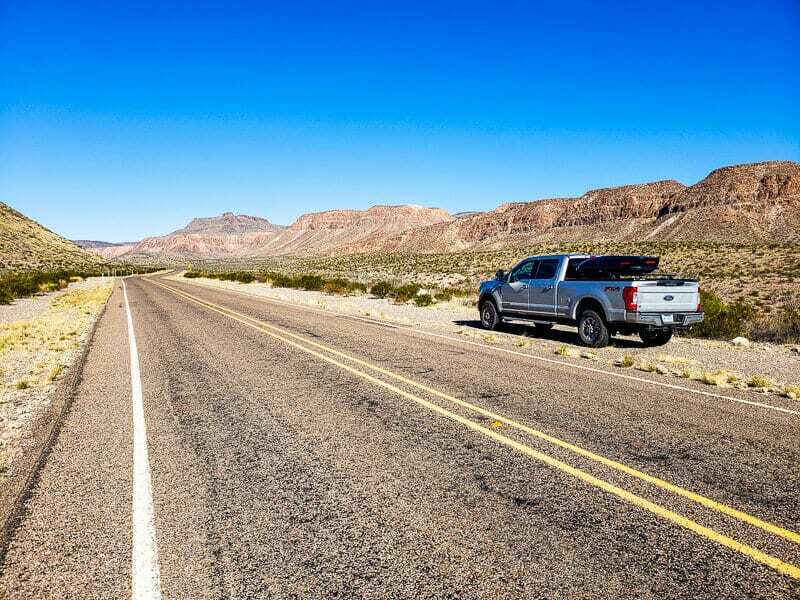 In Terlingua and Lajitas you’ll find gas stations that sell diesel and propane gas. See more information on the State Park website here. If you have a mountain bike, you’ll be spolit for adventures. 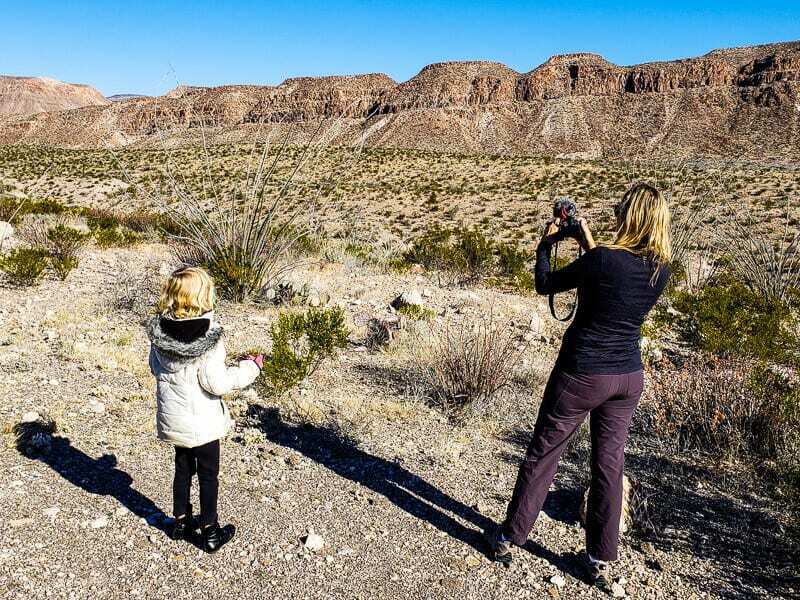 It’s a popular thing to do in Big Bend Ranch State Park. Ask at the visitor center for trail information. Campers can choose from vehicle-accessible, backcountry or equestrian sites. All sites (except backcountry) can be reached by vehicle. Some roads require four-wheel-drive or high clearance. Campsites offer solitude and great vistas; all (except backcountry) offer some camp amenities. Lodging is available at the Sauceda Bunkhouse. No other facilities, water/electrical hookups, or dump stations are available. Due to road conditions, motor homes and large recreational vehicles may not be able to enter backcountry park areas. You must have a permit to camp at primitive road and front country campsites, and in the backcountry zone and agree to the terms. Primitive camping is $8 per night; backcountry zone camping is $5 per night. Access permits are available at Barton Warnock Education Center in Lajitas or Fort Leaton State Historic Site in Presidio. 3/4 mile from trailheads or roads. 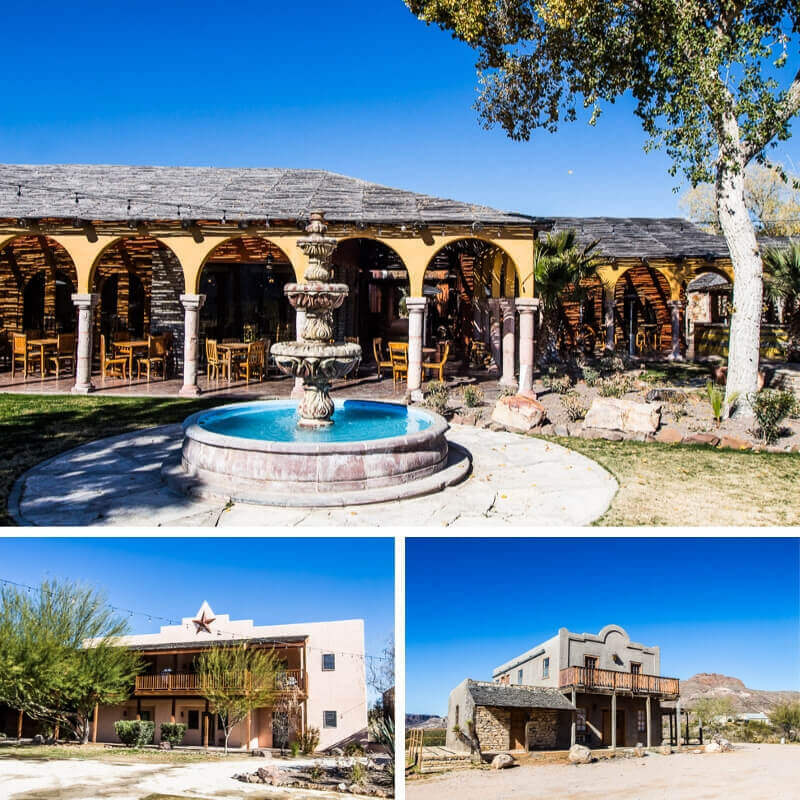 Where to Stay in Terlingua? Terlingua would be a place to find a quirky Airbnb rental. 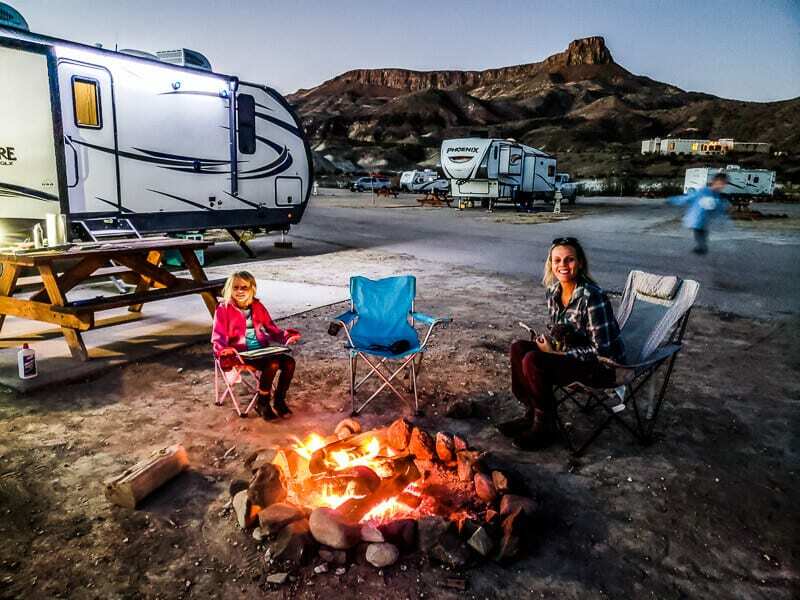 Take your pick from tipees to ghost town ruins to bubbles and tiny homes! I love it. Check out the coolness here! 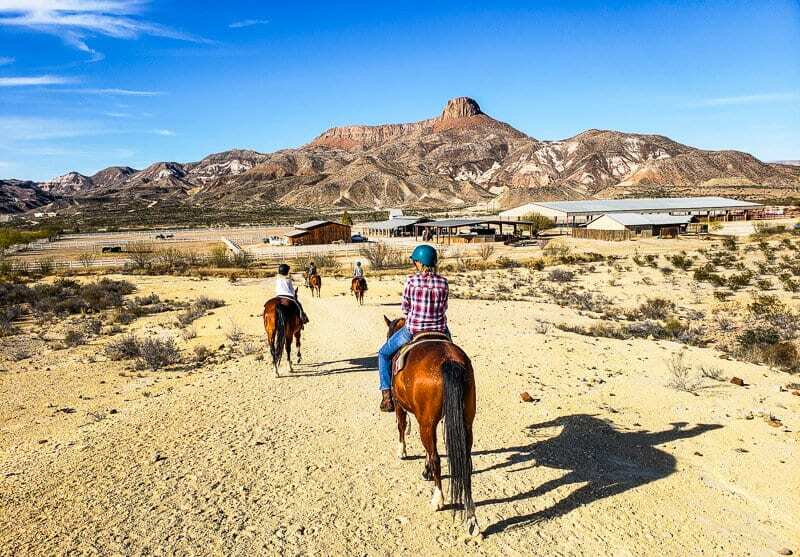 Is a 425 acre resort located 34 miles from Big Bend National Park. It’s a bit far out, but if serenity is what you are after, this may suit. It has cabin guestrooms, RV sites and private campgrounds and has a outdoor pool and free WIFI. Read more reviews and book your stay here. 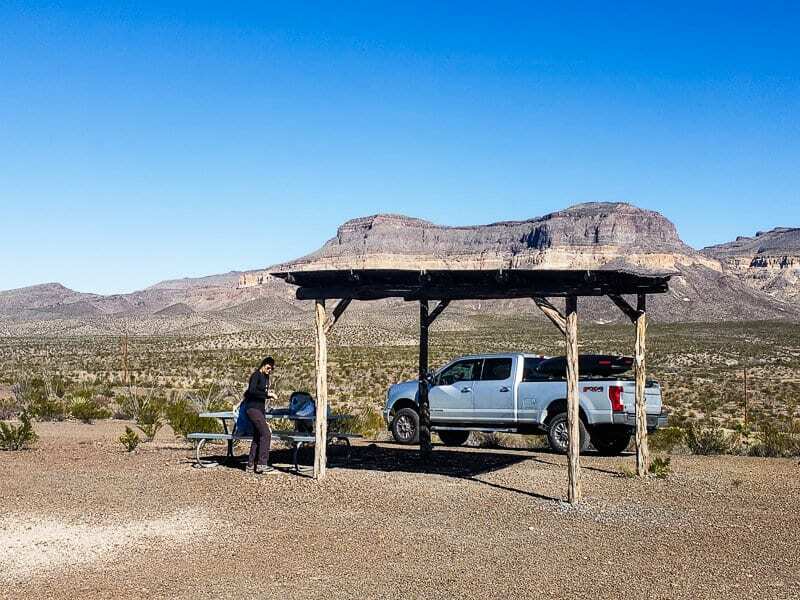 This budget hotel is located 7.5 miles from the Big Bend NP in Terlingua Ghost Town. Rooms are traditionally decorated and have free Wi-Fi and an on-site restaurant. Read reviews and book your stay here. 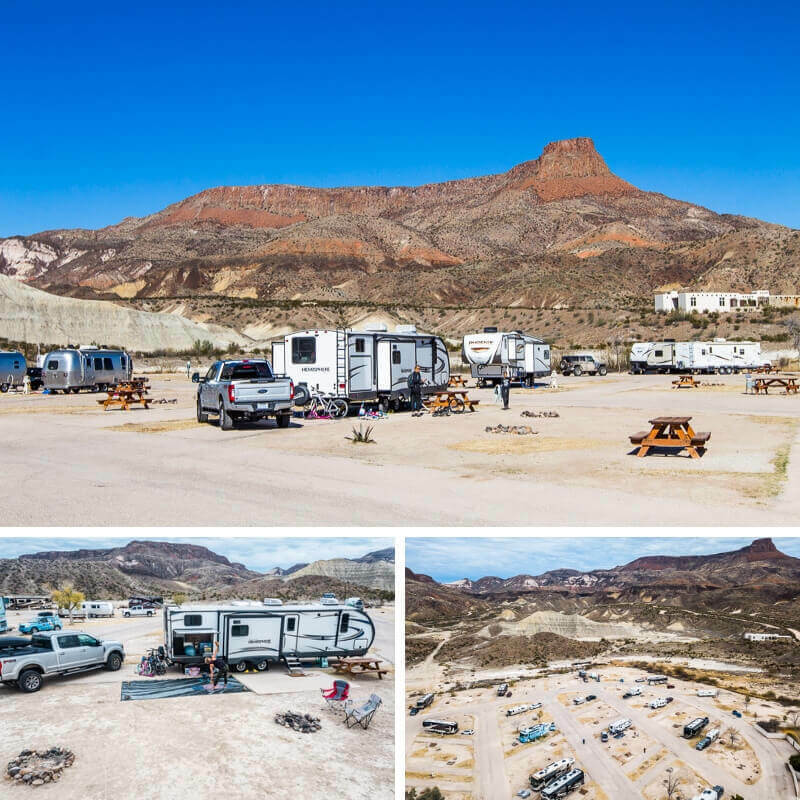 Of all the RV Parks we saw in the Big Bend region, ours at Maverick Ranch RV Park was by far the best. A general store is around the corner, and the State Park Visitors Center is a 2-minute drive down the road. 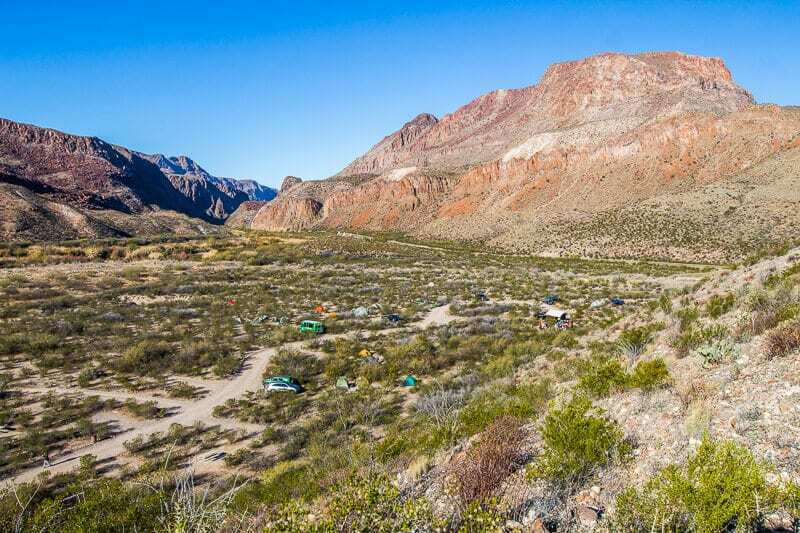 If you’re looking for RV places to stay near Big Bend, it’s hard to beat here! This resort is just outside the entrance to Big Bend Ranch State Park. You don’t have to be a golf lover to stay here, although if you are, you will love the premier golf course. 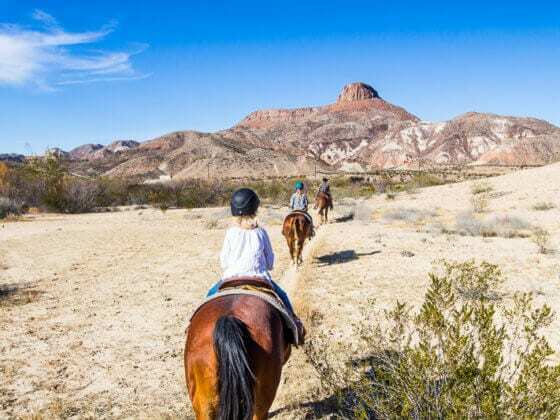 There is also horseback riding and zip lining adventures available. 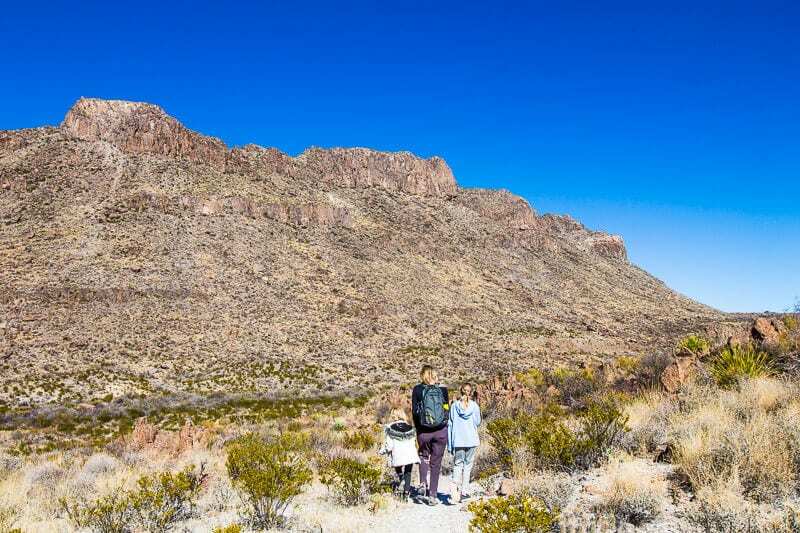 If you’re looking for Big Bend hotels, consider this place. Book your stay at the Lajitas Golf Resort and read more reviews here. 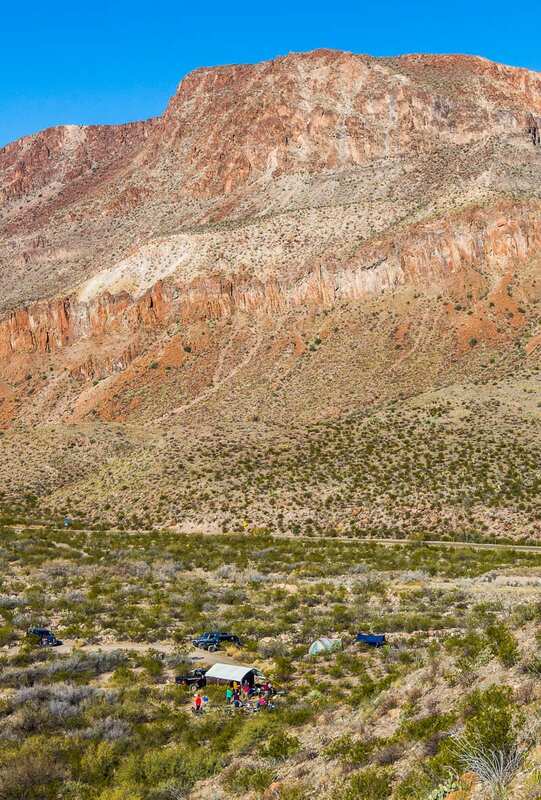 If you want the Big Bend Texas RV experience, but don’t have an RV, you can rent one through Outdoorsy. 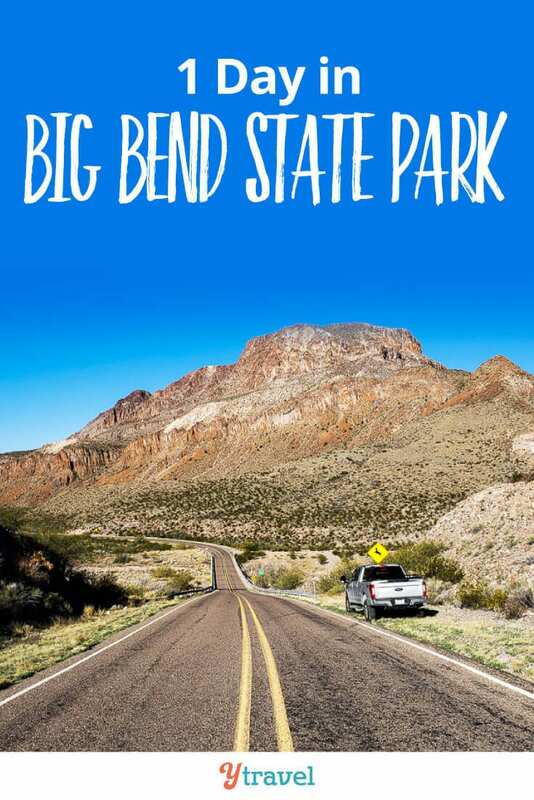 So where is Big Bend State Park? And how do you get there. From San Antonio, you’d take the I-10 West through to either Marathon or Alpine. 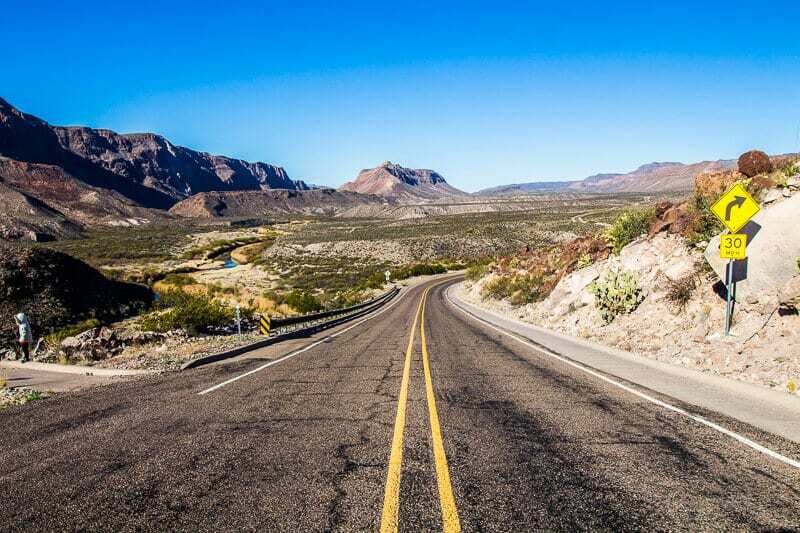 For a scenic route, go through Presidio along the River Road through the Big Bend State Ranch Park. This road has lots of curves and steep grades but has incredible scenery. 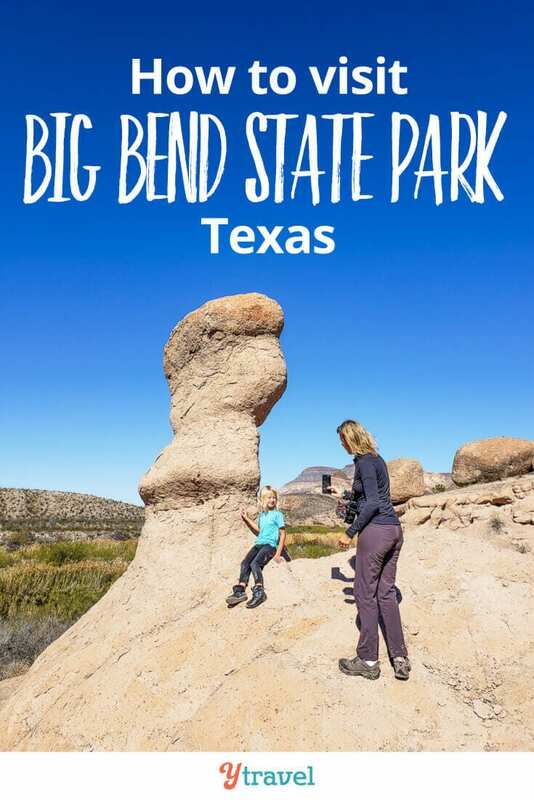 Do you have any tips or questions on what to do in Big Bend State Park? Share in the comments below!